What is Epiphany Lutheran Church? What does it mean to be "confessional?" Doesn't everyone have a confession? Hold the Holy Scriptures of the Old and New Testament to be the inspired and inerrant Word of God, and the only rule of faith and practice, and the sole source of our doctrine. Subscribe without reservation to the Book of Concord of 1580, confessing that it is a correct explanation of the doctrine taught in Holy Scripture. Confess that our salvation comes from Christ alone, given to us by faith. Are eager to receive Jesus Christ as He comes to us in His Body and Blood. Epiphany exclusively uses the liturgical settings found in Lutheran Service Book. The liturgy is the Church's order of worship that has been in use since the time of the Apostles. We receive it and use it gladly, saying and singing the same things the Church has sung for centuries. Epiphany is like any family - we are made up of people of all ages. We have an active Sunday School and youth group. There are also regular activities for families, and activities enjoyed by people of all ages. A favorite is the annual congregational outing to a West Michigan Whitecaps game. 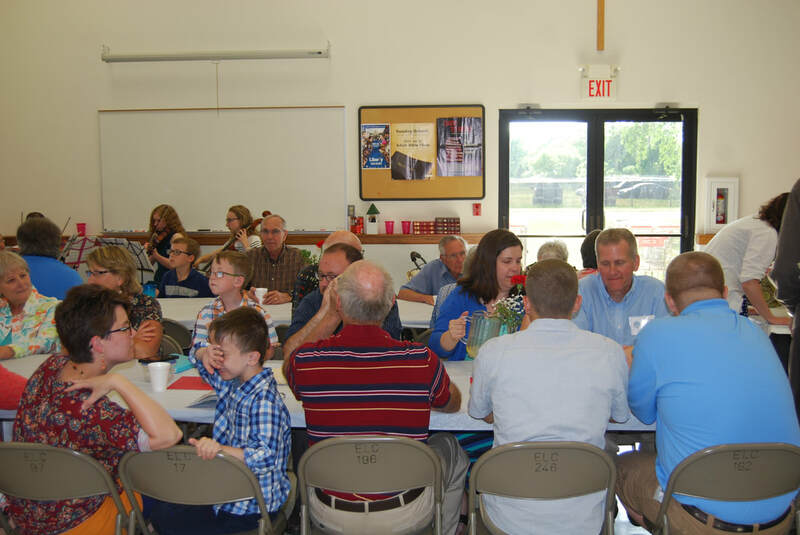 We also love potlucks, family movie nights, the annual congregational picnic, and a host of other activities. Epiphany has a heart for reaching outside of our four walls, eager to share the Gospel with our community and our world. At least 10% of the offerings received leave Epiphany and are given to local, national, and international mission projects. We give to Project Hope of Allegan both in sweat and money. We fund a monthly food truck, giving groceries to families in need in our community. Members are generous, and when tragedies arise, we bring together our resources to be a blessing to others. The Lutheran Church—Missouri Synod (LCMS) is a confessional Lutheran church body, made up of over 2.3 million members, 6,100+ congregations, and more than 9,000 Pastors. The Synod operates two seminaries, ten colleges and universities, and our congregations operate the largest network of Protestant parochial schools in the United States. We have active missionaries in over 90 countries worldwide, and we are in fellowship with 35 other confessional Lutheran church bodies around the globe. In the last five years, the LCMS has given in excess of $35,000,000 for emergency and disaster response efforts.